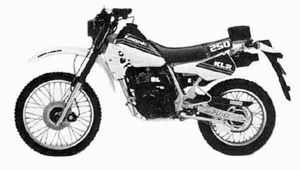 The Kawasaki KL250D is a motorcycle produced by Kawasaki from 1985 to 2005. 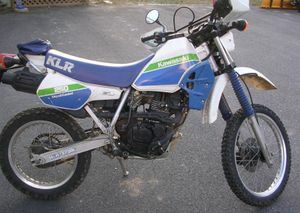 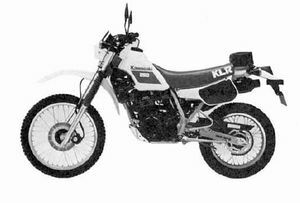 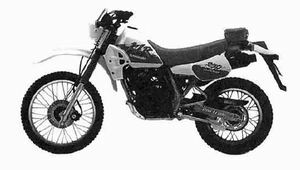 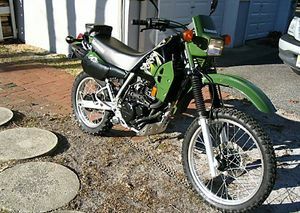 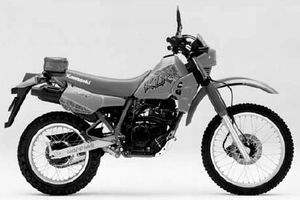 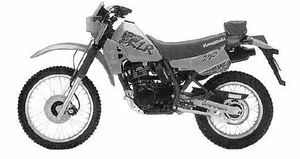 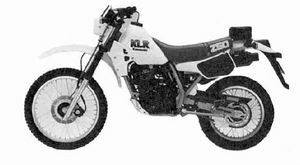 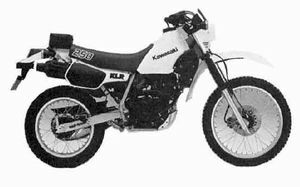 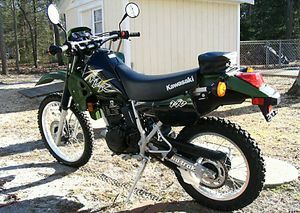 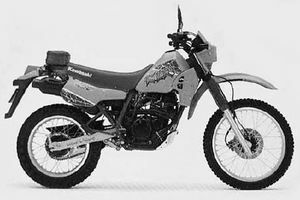 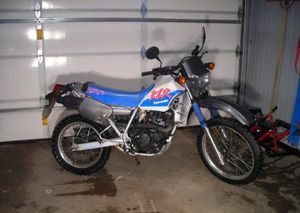 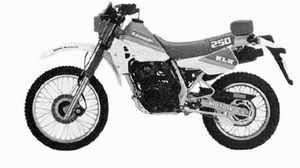 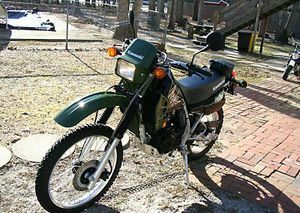 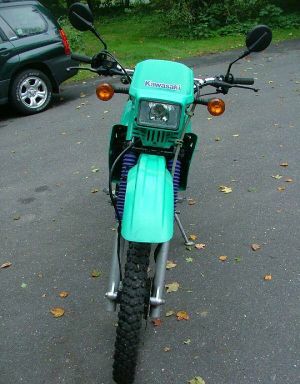 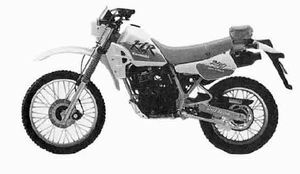 The Kawasaki KLR250 was a motorcycle produced from 1984 to 2005, with only minor changes during the model run. 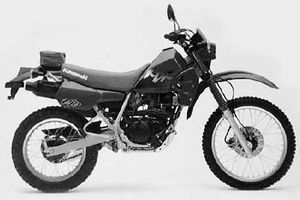 This lightweight dualsport motorcycle was used for several years by the US military for a variety of tasks, including messenger duty and reconnaissance. 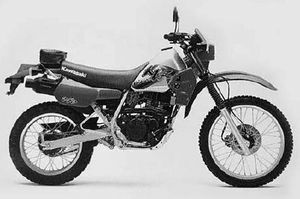 It was produced by Kawasaki Heavy Industries in Japan and exported to many parts of the world, including the U.S. and Canada, Europe and Australia. 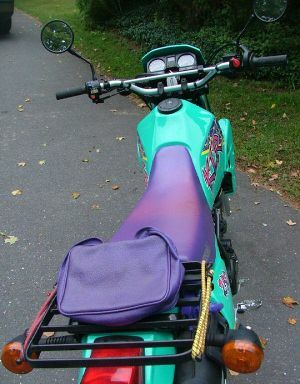 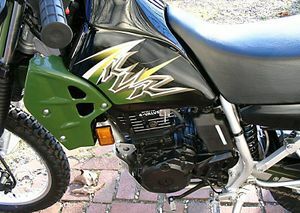 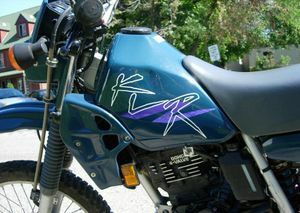 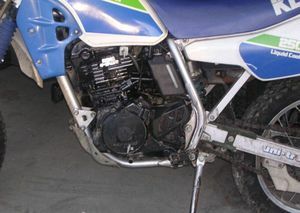 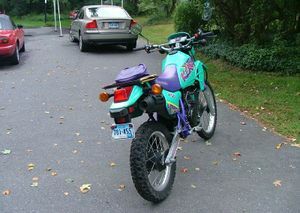 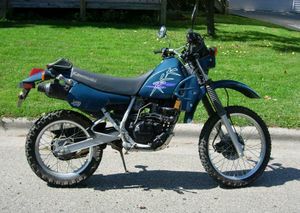 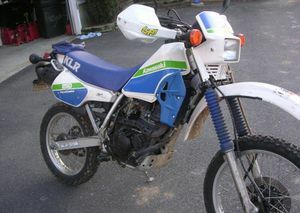 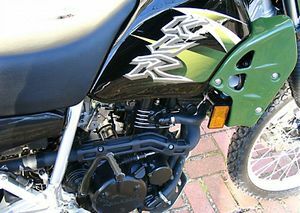 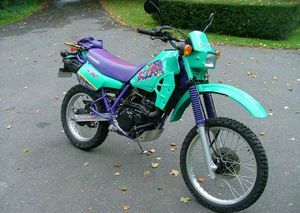 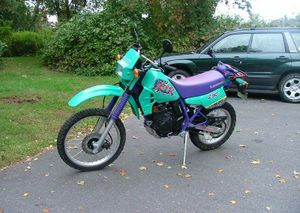 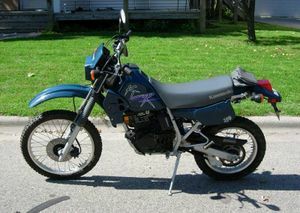 '97-'99 Dark Blue "Forest Bluish Green"
Unlike the 650, the 250 shares many engine parts with an ATV sold by Kawasaki, the KSF250 "Mojave". 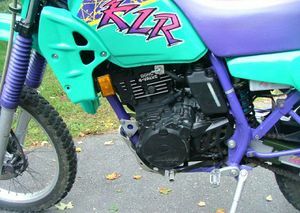 This has resulted in the availability of engine performance parts, though many owners prefer to use their bike relatively unmodified. 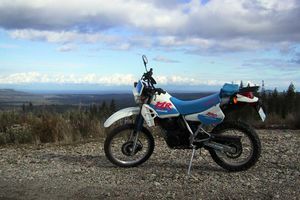 Owners report highway fuel economy figures ranging from 55-70mpg, and city fuel economy of 45-50mpg. 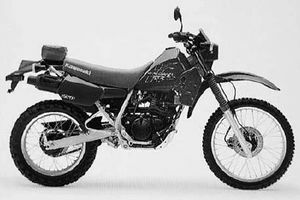 The combination of excellent fuel economy, high reliability, light weight and easy handling have made it a favorite among dualsport riders as well as urban commuters and it remains popular even though production has ceased. 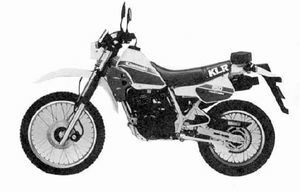 It is rumored that Kawasaki has discontinued the KLR250 at the end of the 2005 model run. 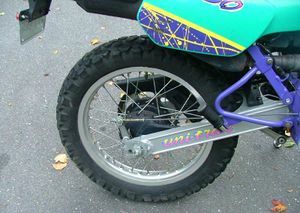 Rake and Trail: 28.5 degrees / 4.6 in. 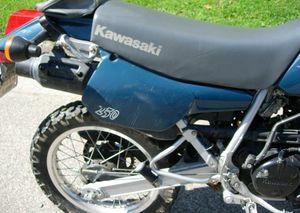 Remarks: Dual purpose model. 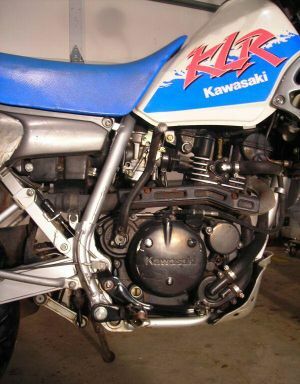 Liquid-cooled, 1 cylinder 4-valves, center up muffler. 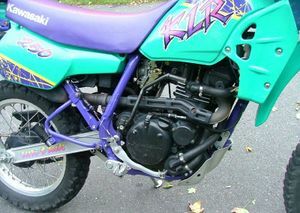 Air adjustable front fork, uni-trak rear suspension, box section swing arm, CDI system.